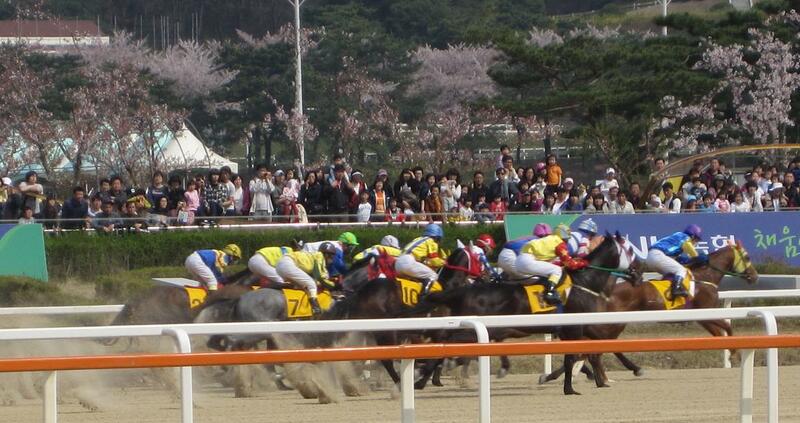 There’s a big weekend of racing in store on the peninsula with the Gukje Sinmun Cup at Busan providing the highlight. Two weeks before this year’s edition, the winner of last year’s Korean Derby, Sangseung Ilro, will take on foreign-bred opposition for the first time as she heads up an extremely competitive field for the seven furlong race. As far as Gyongmaman is concerned, this time of year has always been about the Guineas at Newmarket – he grew up leaning on the rail at the Rowley Mile – and in recent years, the build up to the Korean Derby. For much of the rest of the racing world, however, attention will be focused on Churchill Downs this coming Saturday and the Kentucky Derby. As in the past couple of years, Gyongmaman has been following the build-up to 2010 edition of the race with the Thoroughbred Bloggers Alliance. Horse Racing in Korea has been a member of the TBA since January 2009 with the group providing unprecedented exposure to Korean racing. While most focus on US racing, there are approximately sixty members in total, covering every imaginable angle with owners, trainers, bettors, more bettors and fans, fans, fans and more fans of our wonderful sport. Check the right hand side of this page or click on the homepage for the full list of TBA blogs. As for the Derby, Gyongmaman will be backing Awesome Act – for no better reason than he has a Newmarket trainer. Triple Seven’s victory in the Ttukseom Cup earlier this month has taken the five-year old to the top of the Seoul Standings. He leads Baekgwang, whose comeback from seemingly career-ending injury has been the feel-good story of the past year. 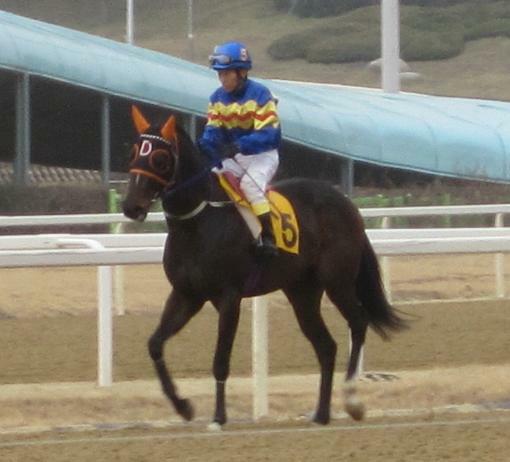 In overall terms, Dongbanui Gangja remains the horse to beat heading as he does the overseas-bred list. Despite a dreadful performance earlier this month when jockey Choi Bum Hyun allowed him to drift across the entire width of the track in the home straight, he managed to win and took his unbeaten streak to twelve. The resurgent Bally Brae is up to third while the three-year old Tough Win enters the top five for the first time. He beat the horse in third place, Bulpae Gisang this month and the inevitable showdown with Dongbanui Gangja is set to be one of the highlights of the year. Overseas-bred horses are not allowed to run in the three-year old Classics and it is of course, Money Car, the emphatic winner of the KRA Cup Mile and favourite for the Derby who heads up the Domestic-bred three-year old category. Seonbongbulpae and Northern Ace, neither of whom went to Cup Mile but will be running in the Derby complete the top three. 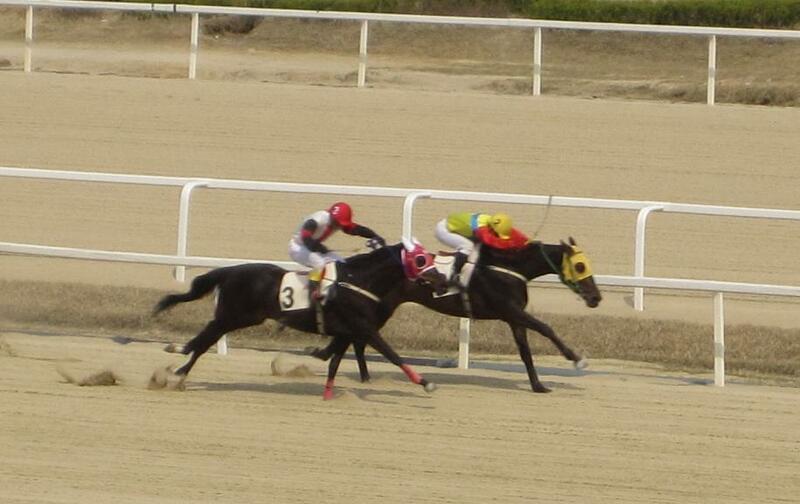 Just behind those is Ace Galloper, a horse who belongs to the third category of thoroughbreds in Korea. He was foaled in Korea but his mare was imported to the country whilst pregnant – two of the top five overall Korean bred horses – Taesanbukdu and Gi Ra Seong – also fall into this category. They are eligible for all races open to Korean-breds except for the Classics. Hushtilled won the biggest prize of her career so far and completed a hat-trick of winners for jockey Moon Se Young on a beautiful Spring afternoon at Seoul Race Park. The three year-old filly led the field from gate-to-wire to win the class 3 race 9, run over the Derby and Oaks distance of 1800 metres. Hushtilled, who was second to Seonbongbulpae in last year’s Herald Business Cup, was only recording her third win, but she has never been outside the money in eleven starts. It was yet another good day for jockey Moon Se Young as he seeks to regain the championship he lost through injury last year. Moon guided another filly, Fortunata to her first ever victory in race 6 and was successful again on Gippeun Sesang in race 8. The Canadian bred Gippeun Sesang [Behrens – Bellus (Saint Ballado)] was breaking his maiden at the twenty-second attempt. Money Teukgeup was victorious in Seoul’s most valuable race of the day but it was at similarly sunny Busan where the afternoon’s feature race took place. And it was favourite Lucky Dancer who put in a commanding performance to win by nine lengths from Sky Star and Conqueror over 1800 metres. Five-year old Lucky Dancer now has eight wins from eighteen starts. The sunshine brought out the biggest crowd of the year so far to Seoul Race Park today. With May usually bringing the peninsula’s best weather of the year as well as a host of big races, capped of course by the Derby, hopefully they’ll all be back very soon. From a sporting perspective, Gyongmaman is finding it hard to get excited about the racing this weekend. It’s just three weeks until the Derby and all that entails, while even next weekend has Sangseung Ilro, last year’s Derby winner, going for the Gukje Sinmun Stakes at Busan. Race 1: Open contest in that most runners are equally bad. Hwa Jin (Number 7) should offer value as well as a decent each-way chance. Race 2: Legal Lady (8) will be heavy odds-on. Race 3: Any of five or six could win, one of whom is Ilson (6). Race 4: Capture Enemy (5) can win at last. Race 5: Competitive race in which a number can be expected to improve. One of them is Chicken Game (1) but he’ll have to beat Bada Olle (4). Race 6: Fortunata (2) should be winning this all fillies race. Race 7: Big things were expected of Bonsol (10) and Oh My Sun (11). Both have better chances than Choegang Combi (6) but that is who Gyongmaman will be on. Race 8: Dream Heart (4) can break his maiden at the twenty-fourth attempt. Old favourite To The Champ is there too but won’t feature at the finish. Race 9: Hushtilled (2) needs to win to get back in the Oaks picture. Race 10: Difficult to call between Money Teukgeup (2) and Daesahyeong (1) so let’s go for an outsider in the shape of Cheongnyeongsaji (9). Race 11: A thirteen runner conundrum to end with. Suseong Equus (5) is the logical answer. 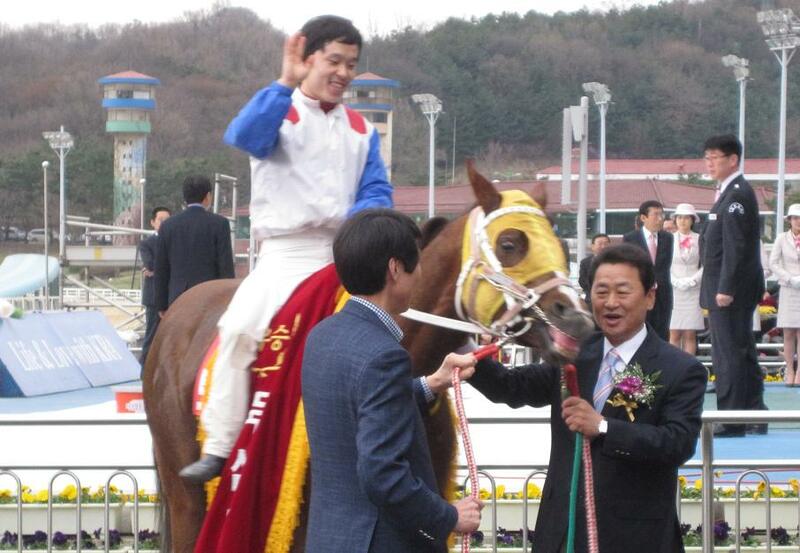 * On Saturday at Seoul Race Park, Free Woody was the surprise winner of the feature handicap. The five-year old just beat-out Machine Gun and Hwangnyongsaji by a neck on the line. It’s almost the weekend and that means racing is back. Busan kicks things off on the peninsula on Friday with ten races and Miss Ecton, Golding, Nuri Choegang, Hardride and Dandi will be among those looking to get back among the winners in a competitive feature race. Busan also sees the pick of Sunday’s action with Derby hopeful Cheonnyeon Daero getting his last prep-race in before the big day at Seoul next month. He’ll be tested over the Derby distance in class 1 company. Like last week, it’s a reasonably low-key weekend at Seoul. The feature race is on Saturday when Gi Ra Seong heads the weights in a handicap also featuring regular winners Good Day and Machine Gun. Lee Shin Young To Be First Female Trainer? She was only the second Korean woman to be granted a jockey license, now Lee Shin Young could make history by becoming the first female trainer in Korea. Lee was one of a small number of jockeys who took exams for the Trainer’s License last month. Comfortably passing both the theory and practical elements, she will be able to make the move from the track to the barn when a training vacancy opens up. 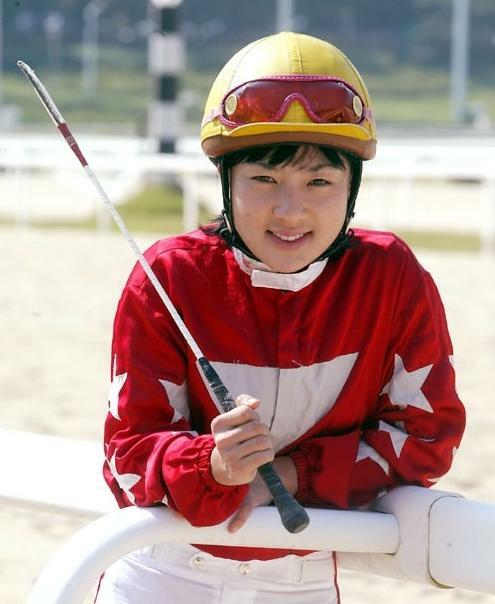 Lee Shin Young, who will turn 30 in April, gained her jockey’s license in 2001 and has ridden a creditable 86 winners from 855 rides since then. Known for an aggressive riding style that has earned her both praise and criticism, she has ridden more thoroughbred winners than any other lady rider in Korea. If the weighing room is a male-dominated world, the backstretch is even more so. 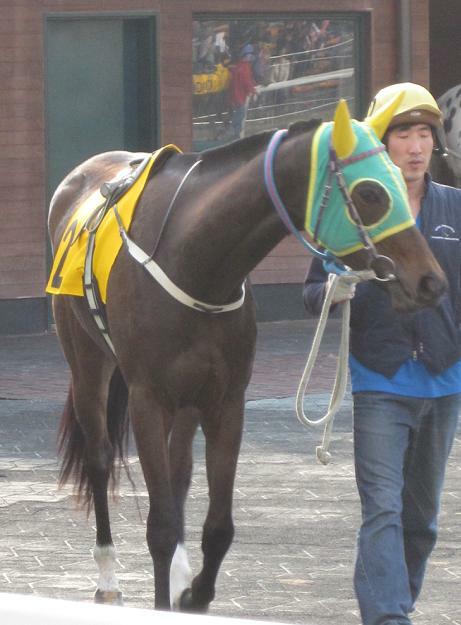 If Lee does indeed take charge of her own barn then it will be a landmark event in Korean racing. That could be some time away, however, and in the meantime, Lee has returned to race riding after a long lay-off through injury. Chulgigi had a full write-up on this story (in Korean) last month.